Relaxation time for Roy and Maggs takes place in a peaceful river setting. 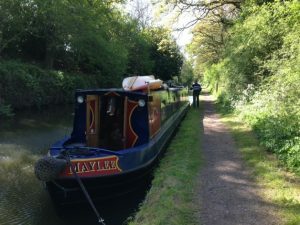 Where Roy and Maggs are most at home is on their beautiful narrow boat, enjoying the relaxing sounds of nature on a peaceful tree-lined river. 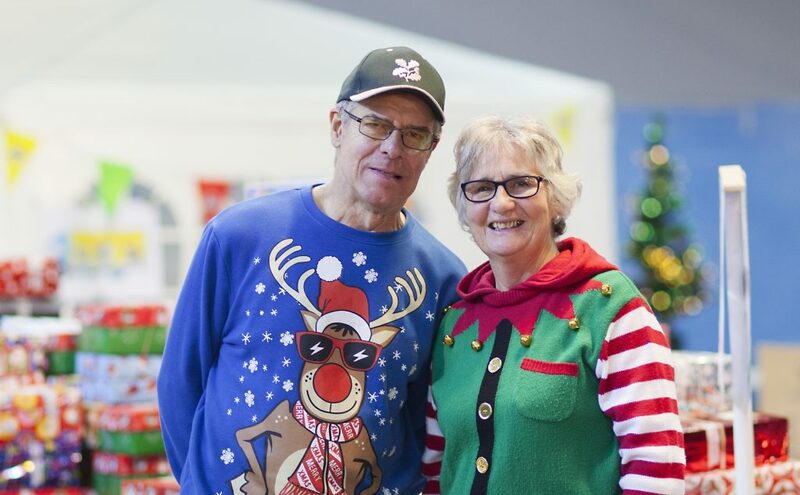 During the months of November into December though, you’ll more often find them in the Operation Christmas Child processing centre for Wales, surrounded by a hive of festive activity. Here they oversee the regular collections of brightly wrapped shoeboxes and a team of short-term volunteers who are checking each one, before cartoning and loading them on to lorries for dispatch towards children around the world. Their role includes supporting short-term volunteers and coordinating shoebox collections from churches, or local processing centres in their area. Unloading a delivery of shoeboxes at the warehouse. Volunteers are the lifeblood of Operation Christmas Child. “We also welcome and host shoebox contributors at local collection sites. Collection and processing centre volunteers serve as the face of Operation Christmas Child as shoebox donations come through the doors on their way to the waiting arms of children around the world, and we believe it’s important to give everyone a warm welcome, so they know they are appreciated,” says Maggs. If you are interested in learning more about becoming a Logistics volunteer for Operation Christmas Child, get in touch using the button below.